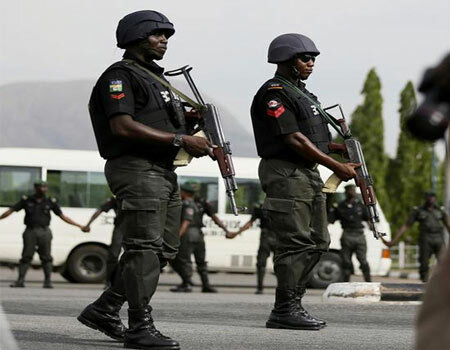 Abia state Police Command has begun the investigation into the death of a pastor and two other members of a church in Olokoro, Umuahia South Council of Abia State. Based on a distress call from members of the community to the police that they perceived disturbing odour from a house at a Housing Estate, the Police swiftly visited the area and pinned down a compound where the pungent odour was coming from. The house in question turned out to be the residence of the Pastor and founder of Winds of Glory Church, Ohokobe, Umuahia, Blessing Kelechi, 27 years of age, whose body was one of the decomposing corpses found in the house. Also found in the house were decomposing bodies of Ambassador Kalu Ikeagwu, the assistant pastor of the church and Ruth Andrew, the woman leader of the church. The Police team led by the Deputy Commissioner in charge of criminal investigations, Patrick Edung has removed the decomposed bodies and deposited them a mortuary in Umuahia. Edung has also assured that a thorough investigation would be conducted into the matter with a view to unraveling the cause of their death. He said they would look into a case of armed robbery and murder.